Walmart-Flipkart Merger: Growth Ahead or Expensive Redevelopment? 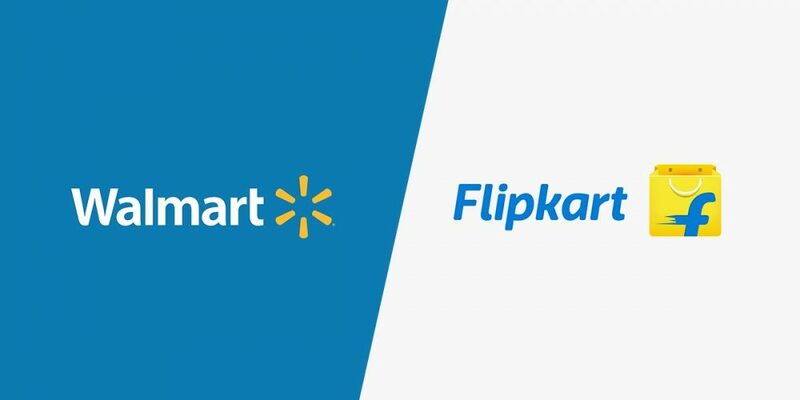 Walmart-Flipkart Merger: Walmart has officially announced its acquisition of 77 percent stake in Flipkart for $16 billion. There are debates among the investors regarding what, why and what next on this merger. Many investors have predicted that after this deal the market capitalization of Walmart will reduce to $8 billion. The merger between Walmart and Flipkart is just like a Nirvana for India Tech start-ups and there’s no doubt that this deal will affirm their hopes that if they build their presence in India, there will be large players who will buy them out. While assessing a merger or an acquisition, the most important thing to do is to look at the companies involved, both acquiring and target, before the deal. So, read here to know about who is more powerful among these two. Out of the two e-commerce giants, little is known about Flipkart as it is not publicly traded and it also provided pretty less information about itself. Important points to be known about Flipkart are given below. It has expanded quickly: Flipkart was founded in October 2007 by the ex-employees of Amazon namely, Sachin and Binny Bansal with a Capital of about $6000. In a span of over three years, the revenues for the company have increased from less than $1 million to $75 million. Losing lots of money and burning through cash: As growth was Flipkart’s first priority, it lost money in its early years. There are so many instances when the company not only continues to lose money but that its losses have increased with the revenues. Borrowing money to fill cash flow deficits: The founders of Flipkart has borrowed the huge amount of money to control the cash flow deficits. In defence of all these aspects, it can be said that the e-commerce giant is still new and it would be difficult to manage all the deficits and accordingly that will pose serious concerns over its survival in the market. The strong point about Walmart is that it has been publicly traded for decades. It has been said that Walmart has reshaped the retail business in the United States where growth has slowed down and margins have come under pressure. Walmart’s growth has increased partly because its revenue base is so large i.e. around $500 billion in 2017 and partly because of saturation in its primary market, which is the United States. With its increasing growth rate, the retail giant has been trying to acquire other companies, with Flipkart just being the most recent example. By looking at these points, one can say that Walmart is not just a mature company but the one that is perhaps on the verge of decline. Walmart is one of the high profile investors that Flipkart has attracted over the years. Why did Walmart pay $16 billion for a 70% stake in Flipkart? And will it pay off for the company? There are various possible explanations for the Walmart move such as the ones given below. The Pricing Game: The Flipkart Walmart deal has paid off for earlier entrants irrespective of the fact what one thinks of Flipkart’s business model and its valuation. If the basis of that game is that you buy at a low price and sell at a higher price, the payoff to playing the pricing game is easiest witnessed by looking at Softbank’s investment made as early as nine months ago, which has almost doubled in pricing, largely as a consequence of the Walmart deal. The Big Market Entry: The Indian Retail market is pretty large but for decades it’s also proved to be a frustrating one for companies that have tried to enter it for decades. One possible explanation for Walmart’s investment is that they are buying an option to enter a large and potentially lucrative market. As predicted by the experts, in the long run, this deal may slow down the decline at Walmart, but at this high price, it can be said that how this deal will benefit the shareholders of Walmart. However, in the short term, this acquisition will accelerate the competition in the Indian market with Flipkart, now backed by Walmart Cash and Amazon India continuing to lower prices and offer complementary services. That means big losses at both firms and smaller online retailers will fall by the wayside. At last, the winners will be the Indian retail customers who will be made offers which they can’t refuse.